Want to Run the (Sold Out) Disneyland Half Marathon? 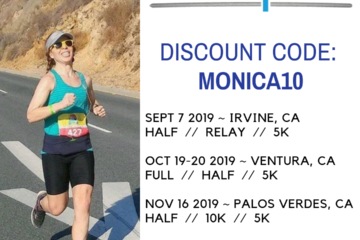 I have two very awesome races in Orange County to share with you today, including a way you can run the Disneyland 10k and Half Marathon in September. I ran the Disney Half last year and the 10K! 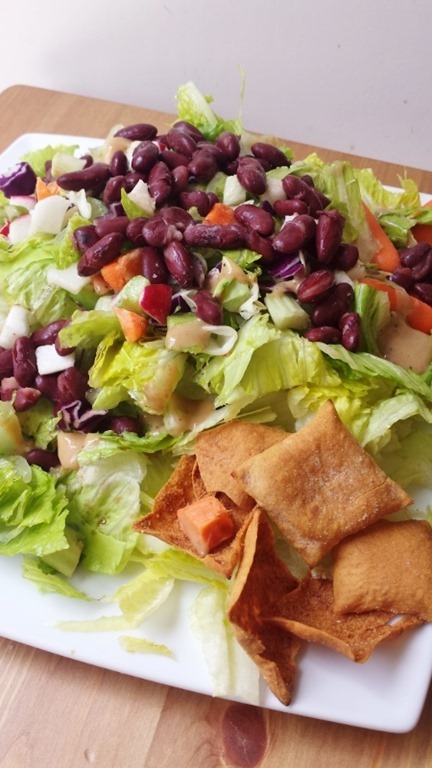 First let’s talk running eating. 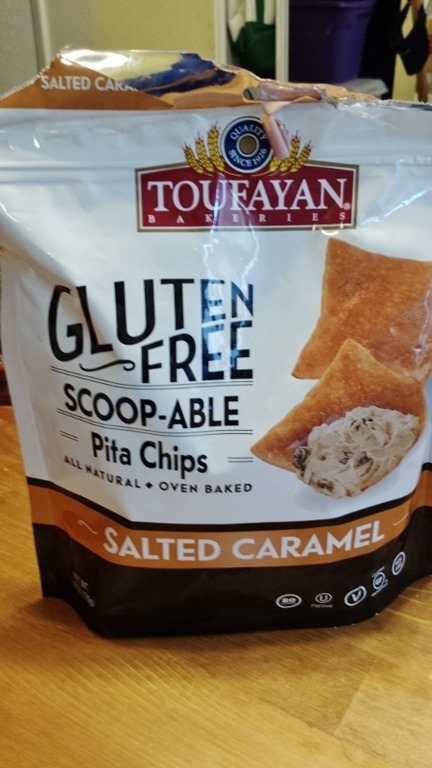 I am full on obsessed with Toufayan’s Gluten Free Pita Chips. They are perfected seasoned and crunchy without being too hard. I don’t know how to describe them, but yeah. Give ‘em a while. I had the sea salt version with lunch and then some of the Salted Caramel for dessert. 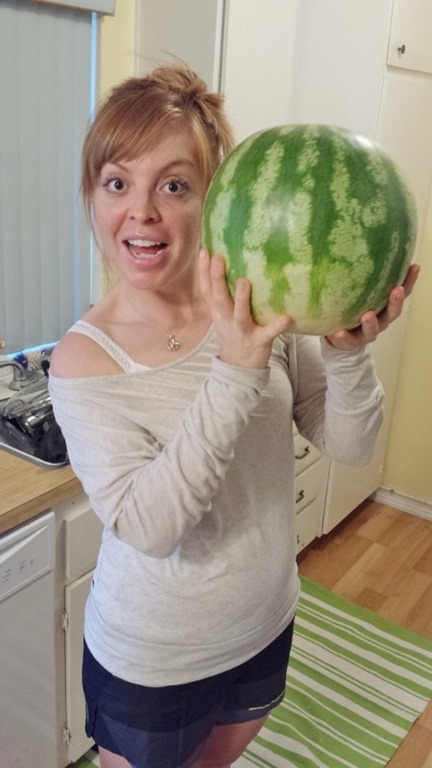 Last night I bought a watermelon for dessert happiness. I cut it around 8pm and it was completely gone thismorning by 8am. Should I be ashamed of myself? I have zero self control when it comes to watermelon. But it makes me so happy! And now I’m sipping on this low calorie energy drink Sambazon sent me to try. I really like it. It tastes like sparkling juice (not medicine like some energy drinks). Yesterday two different race contacts hit me up about great road races in Orange County – the Disneyland Half Marathon and the Race for the Cure 5k. The Disneyland Half marathon and 10k is sold out (race is Sept 5/6). You can get a bib for BOTH races by working with Team All 4 Kids. 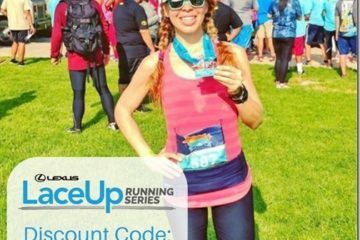 To get a bib you must fundraise $750 dollars and that will get you: the bibs for , 1 theme park ticket, shirt, training tips, nutrition tips and more. The Susan G Komen Race for the Cure is a 5k on September 27th at Fashion Island in Newport Beach, CA. Question: Should I be ashamed of eating a whole watermelon in 12 hours? My husband considers a watermelon one serving. He just cuts it in half and starts eating it. Watermelon is by far one of the best parts of summer! My cat even loves watermelon. Weirdo. I think you should be PROUD of eating a whole watermelon in 12 hours. 🙂 That’s just me.